Your votes are in! We’re proud to announce the Grand Prize Winner for the 30th Anniversary Song Contest is The Deep Hollow! Thank you for voting, and please enjoy our interview with the winning trio below. 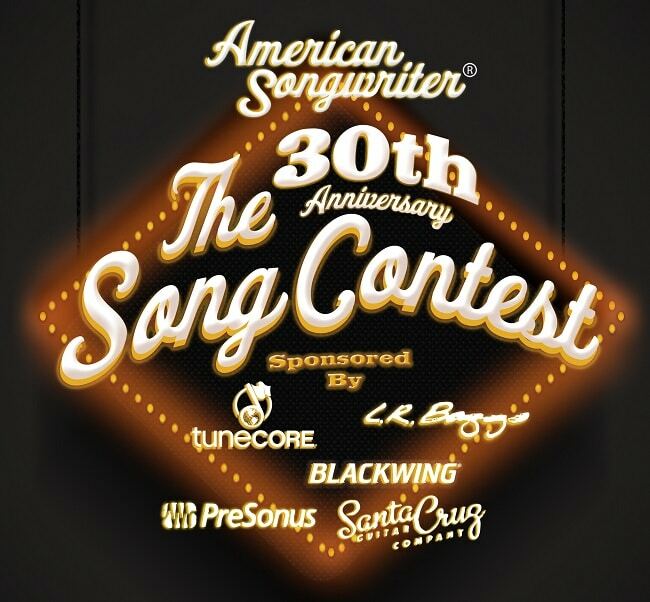 For more information regarding the 30th Anniversary Song Contest, judges or contest rules, click here. It actually kind of started with the guitar part. I had just picked up a new guitar and songs seemed to just be flying out of it. I came up with this dark sounding riff and four or five verses and sent Liz a recording from my phone. She liked it and went to work on it. She removed a couple of my verses, added some words and parts of her own, came up with all the cool harmony and we got together to work it all out. When did you write this song? Was it a recent effort? “Devil” was actually one of the first songs we came up with. Liz and I started writing together in the summer of 2013. I believe this one was part of our first batch of tunes. Then, when Dave joined the group, he and Liz put some more touches on it that really made it sound complete and turn it into what it is now. Do you typically write for a certain genre? Since we are all three songwriters, we all have individual roots in slightly different things. Liz has been singing all types of music since she was a little girl. She’s influenced by pop, country, folk, Americana, you name it. I think Dave and I were both introduced to classic rock as kids, which was probably what initially lit the fire for both of us – The Beatles, Zeppelin, Pink Floyd, etc. When we got into junior high and high school, it was more, newer rock – Pearl Jam, Alice in Chains, Soundgarden, Stone Temple Pilots. As adults, we’ve all been at the music thing for a long time now. Over the years, we fronted our own groups and/or performed as solo artists as we were influenced by different things. Dave has fronted a rock band for several years and is an awesome electric guitarist, Liz has more of a pop background and has written several songs in that genre, and I really fell in love with more acoustic, singer-songwriter type stuff. So, to answer the question, collectively we’ve written everything from hard rock to folk. It’s funny to think about all of our different paths bringing us to a point where we’re working on an album of 13 acoustic trio tunes together. Rock and pop backgrounds plus Americana influences came together well for us, and we’re pretty excited about the sound we create as The Deep Hollow. What is it that inspires you to write? Are there things you look to for inspiration? Love (or the lack thereof) and relationships will always be fuel for songwriting. That’s nothing new. We’ve got our share of those types of tunes, and I love ’em. To be honest, though, we’re inspired by all sorts of things: family, TV shows, books, movies, current events. Dave is inspired a lot by his kids, and rightly so – they’re freaking cute. As someone who has a fondness for the melancholy, I sometimes find it hard to find inspiration when I’m happy. So I just turn on the news, which rarely seems too good these days! As far as looking for inspiration, though, I personally never feel as inspired as I do when I listen to a great song or album or attend a great show. I remember seeing Todd Snider recently. After the show my friends were going out for beers, but I had to go home and pick up a guitar asap. I’ve seen Jason Isbell a few times and each time feel inspired to be a better songwriter. The last time I was on a plane I listened to John Prine’s “In Person & On Stage.” If that dude doesn’t inspire you as a songwriter, something’s wrong. What is the story behind The Deep Hollow? Why this name and how did you three come together? It’s kind of a funny story. We had been in the Ozarks playing gigs with a cover band. We stayed at a motel called The Deep Water Inn. It’s not the kind of place you bring someone you want to impress, but the ladies who run it couldn’t be nicer or work any harder to keep it up. It’s a charming little place and we all had a really good time there. On the way home, Liz had the idea of writing some songs together, at that time as a duo. So we wrote about five tunes and started booking gigs, filling any spare time with covers. We knew we wanted the word “deep” in our name, as an homage to that quaint little motel. We landed on The Deep Hollow. Dave and I had actually been playing in yet another band together, trying our hand at co-writing some songs. When that band sort of fizzled out, he joined The Deep Hollow, bringing in a bunch of new songs and ideas and really rounding out the sound.